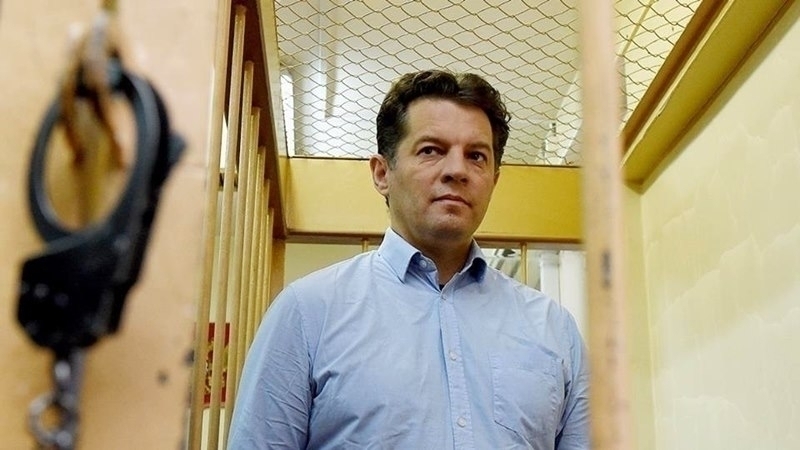 Ukrainian journalist Roman Sushchenko, who was illegally detained in Russia, was convicted today, June 4. The Moscow court sentenced him to 12 years of strict regime, lawyer Mark Feigin informed on his Facebook page. “Verdict delivered against Roman Sushchenko. 12 years of strict regime. The complaint will be filed tomorrow," he wrote. Earlier, Roman Sushchenko was transferred to a solitary confinement cell. According to Feigin, this was done by the employees of the detention center allegedly in "the interests of Russia's national security." Reference: The special correspondent of the Ukrainian news agency Ukrinform in France Roman Sushchenko was arrested in Moscow where he was on personal business on September 30, 2016 and charged with espionage in the interests of the Ukrainian state. He is kept in the Moscow prison Lefortovo.